Greater Fort Lauderdale was the featured destination in ABC’s hit primetime reality series The Bachelor. With a viewership of six million, the two-hour episode featured sunny locations throughout Broward County as the setting for the remaining women to continue their romance with the newest Bachelor, Arie Luyendyk Jr. Whether you’re in search of your soulmate, a fan of The Bachelor and want to fulfill your guilty pleasure, or simply looking to soak up all Greater Fort Lauderdale has to offer, retrace Arie’s steps and experience the locations featured in the episode. 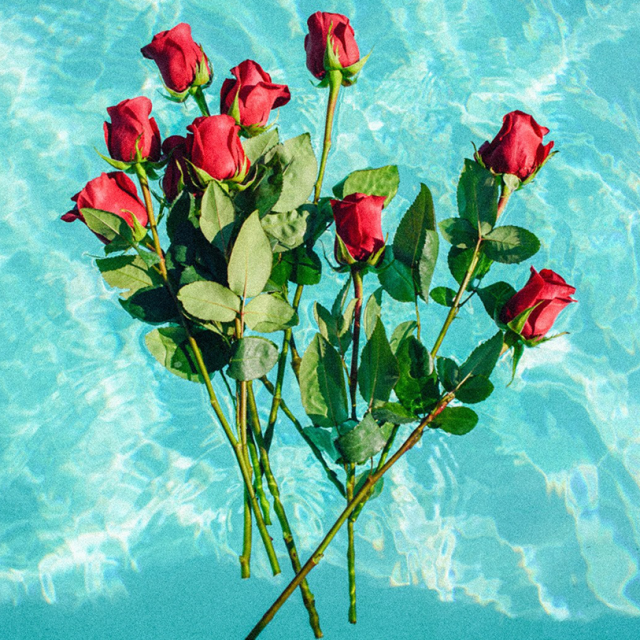 Fresh off a $55 million renovation, W Fort Lauderdale set the scene for romance and roses as the host hotel of ABC’s The Bachelor in Fort Lauderdale. The beachfront property served as home base for the group of remaining women hoping to find love with the newest Bachelor, Arie Luyendyk Jr, and provided the group with the perfect playground to soak in the Florida sun and possibly find love along the way. In between exploring Greater Fort Lauderdale’s sultry beaches and nearby activities, the group was able to live it up at the glam hotel with the women staying in the property’s Extreme Wow (Presidential Suite), while Arie took up residence in one of the property’s newly restyled residential suites. Following an evening date, signature handcrafted cocktails were mixed up for an after party in the Living Room and one-on-ones up on WET, the art-deco rooftop pool with moonlit ocean views, the perfect scene for flirtation and fun. 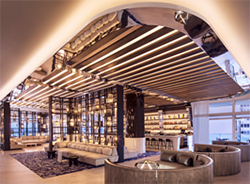 To celebrate the hotel’s inclusion in the episode, the W Fort Lauderdale has launched a new over-the-top ‘Can Buy Me Love’ romance package for fans to come experience the destination for themselves. 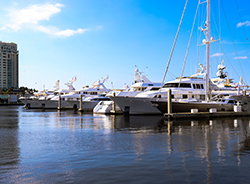 The package mimics the experiences from the episode and includes a private yacht charter for a sunset cruise, Everglade’s tour, and accommodations in either the expansive oceanfront Extreme Wow on the 24th floor or Wow on the 23rd floor. Additionally, the hotel package includes a private dinner at the in-house award-winning Steak 954, custom sushi roll at Sushi Bar, day bed on WET, couples spa treatment at the hotel’s Bliss Spa, and private beach photography session to capture those beachfront, amorous moments right outside the hotel’s doorstep. The package has a three-night minimum and starts from $4,400. Click here for more info. Upon arriving in Greater Fort Lauderdale, the women stopped to ride bikes and walk along the beach in Hollywood – a classic beach town that’s enchanted visitors since the 1920s. 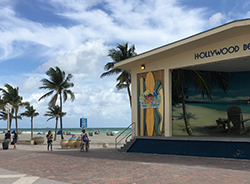 The Hollywood Beach Broadwalk is 2.5 miles long and features more than 50 restaurants, 30 boutiques, three oceanfront resorts, nearly 30 Superior Small Lodging hotels, three oceanfront parks and free weekly live music series. Northrop and Johnson Yachts, Inc.
A Paradise Yacht was chartered from Northrop and Johnson Yachts for a one-on-one date down the famed Intracoastal waterway in the destination hailed the “Venice of America.” The water experience was completed by taking two jet skis connected to the yacht for a joy ride. 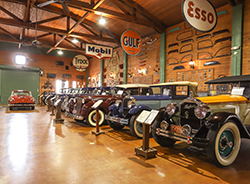 A romantic dinner and private concert with Tenille was held at this museum, which features antique motor cars – 22 Packard automobiles from 1900-1940’s – and memorabilia, plus a gallery dedicated to Franklin D. Roosevelt. A one-on-one adventure date was held in the middle of the Everglades at Sawgrass Recreation Park. 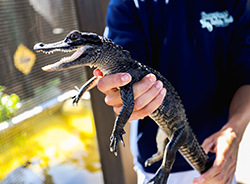 Previously a fishing camp, Sawgrass Recreation Park has become one of South Florida’s top destinations for visitors with airboat rides, fishing, and animal shows and exhibits where guests get up close and personal with the native and endangered wildlife. 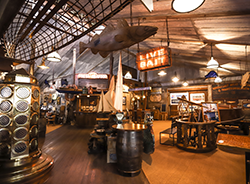 The evening portion of the date concluded with an intimate evening at Nautical Furnishings – a longtime showroom, it is the world’s largest sources for authentic Marine antiques and nautical décor. A friendly little competition ensued on a group date at this retro bowling alley. 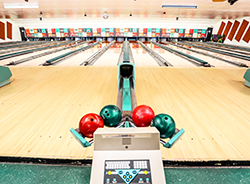 The Holiday Bowling Center has 16 lanes and boasts a game room, restaurant, bar, karaoke and billiards. The venue is completing a full remodel that will include an outdoor patio and more. 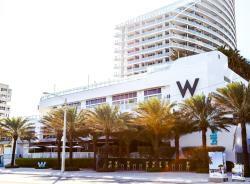 The group date concluded at the Living Room in the W Fort Lauderdale – a posh playground that&apos;s as hot as South Florida&apos;s beach scene. Guests enjoy the 20-foot signature bar or the relaxed seating under the pool while catching glimpses of swimmers through portholes. The hotel features live DJ mixes, a colorful cocktail list and bite-sized treats with explosive flavor at the new Sushi Bar. Step out onto the expansive terrace with stunning views of the Atlantic Ocean - a prime people watching spot. Plus every night of the week there are happenings in the Living Room. The episode culminated in a Rose Ceremony around the central courtyard of the historic Bonnet House Museum & Gardens. Visitors to the estate are magically transported to the beginning of the 20th Century, and the days of gracious living, charm and whimsy when Florida was one of the nation’s last frontier outposts. 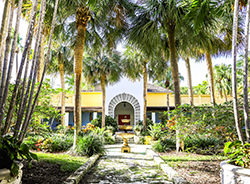 The Bonnet House Museum & Gardens preserves the unique historic estate of Frederic and Evelyn Bartlett. Through enjoyable and enriching cultural experiences, the museum connects today’s community to the Bartletts’ architectural, artistic and environmental legacy.